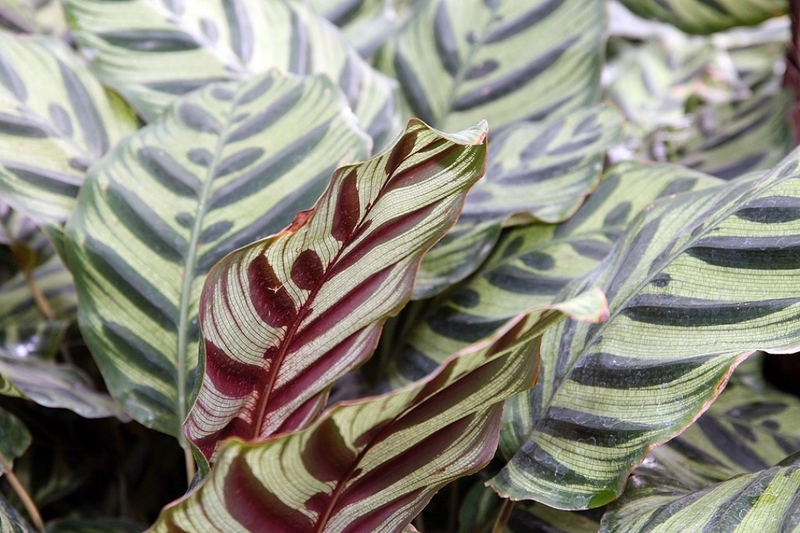 Peacock plant (Calathea makoyana): growing, planting, caring. A popular species native to Brazil ! A mid-size species, wit the elegance and beauty of a Peacock’s tail, hence the glorious name. The leaves are pale green with a dark green feathered effect from the middle of the leaf to the outer edges. When new leaves grow they are rolled up and show off their pinkish-red undersides.